I have been buying dated personalized Christmas tree ornaments every year since before my husband and I got married. Now with a family of five, I purchase 7 personalized family Christmas ornaments every year. This usually includes one of the whole family, one for each of our three children, one for my husband and myself, one with all our pets' names, and one for our children to give to their Aunt and Uncle. I received this Christmas Greetings Family of 5 ornament so that I could experience the quality of the products from Ornaments With Love. I have to tell you that I was so pleased with the sample I received that I ordered additional 6 ornaments from this site. Why I am so impressed by this family owned business . . . The ornaments are of high quality with no chips or defects and are just as pictured on the website. My order of 6 ornaments shipped the same day I placed the order. The ornaments were carefully packed for shipping and arrived without damage. The personalization was neatly printed with no errors in spelling. The selection includes over 2000 ornaments. My children very much enjoyed choosing their own. If you are looking for a particular theme, chances are you will have several styles to choose from for that theme, rather than just one. 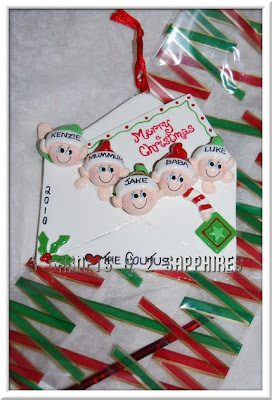 Each ornament purchased comes with a holiday-themed cellophane bag and twist tie for easy gift giving. I know that the prices of the ornaments on this site are similar to those of other websites. I know that this retailer does not have fancy promotions. I chose to purchase the rest of my ornaments from this site because I have gone through receiving broken ornaments and errors with personalization in past years and I would rather not spend my time fixing problems. I would much rather be baking holiday cookies and wrapping gifts, therefore I will order my ornaments from a business that gets it right the first time. 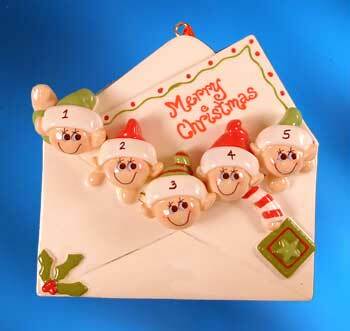 Ornaments With Love offers a flat rate shipping fee of $6.95 for U.S. orders. If you spend more than $50, your U.S. order ships for free. 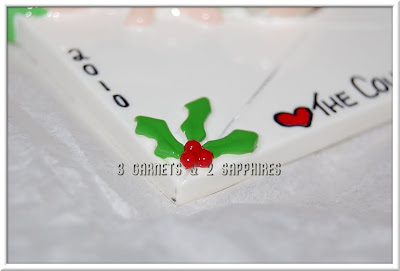 Visit OrnamentsWithLove.com to view the full selection of personalized ornaments and tabletop decorations. Thank you to Ornaments With Love for sending us a complimentary product sample to base this review upon. I did not receive any compensation or discounts for the additional ornaments I purchased after I received the initial sample.